Manchester, New Hampshire – Bernie Sanders, Hillary Clinton and Martin O’Malley take the stage for the third democratic presidential debate on Saturday at 8 p.m. In this opportunity the debate may turn more personal due to the recent accusations that Bernie Sanders’ campaign accessed unauthorized valuable voter information from Hillary Clinton. Officials with the Democratic National Committee have accused the presidential campaign of Senator Bernie Sanders of improperly accessing confidential Hillary Clinton’s proprietary voter files. After the discovery the DNC temporally shut off the Sanders campaign’s access to the strategically crucial list of likely Democratic voters. Officials said they may not ask for a criminal investigation, however, Sanders could face political fallout from the impression that his staff worked to gain an unfair advantage. The data breach left Clinton with basically with two options. She could give Sanders a pass, as he did when she used a private email server while serving as secretary of state, or confronting Sanders during the debate. Now, in the middle of the last democratic debate of the year all eyes are focused on the latest computer-based scandal. Even though Clinton is setting her sights on Republicans rather than her primary opponents in the third Democratic presidential debate, Sanders prompt to apologize to her. Sanders said that his staff “did the wrong thing,” but the Vermont senator also suggested that the issue should have been handled without a public spat between the campaigns and the Democratic National Committee. “Not only do I apologize to Secretary Clinton, and I hope we can work together on an independent investigation, I want to apologize to my supporters. 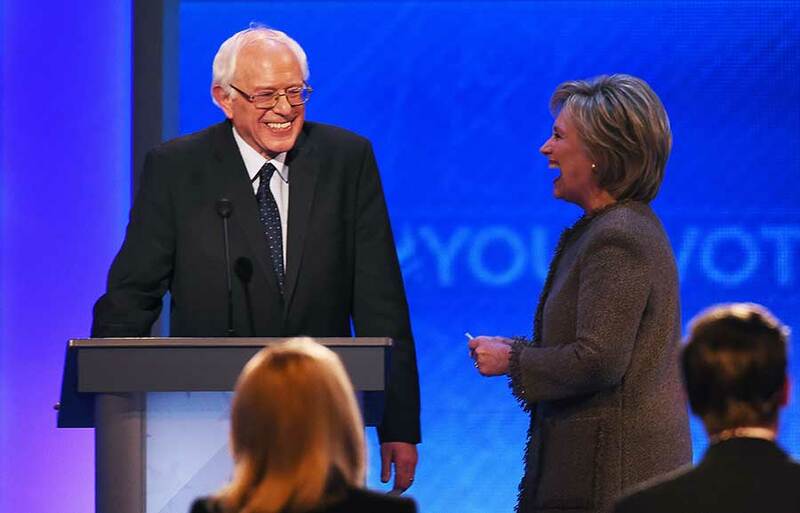 This is not the kind of campaign that we run and if I find anybody else involved in this, they will also be fired.” Senator sanders replied after moderators at a Democratic debate asked if Clinton is owed an apology for the incident. Clinton accepted the apology saying she thought they should move on as the American people are all that interested in this. Sanders filed a federal lawsuit against the DNC, and the two sides announced a settlement on Saturday morning. Sanders’ access was immediately restored. In the lawsuit, the campaign argued it was losing $600,000 a day over an inability to conduct fundraising.